Membership in Christian Feminism Today is open to anyone who supports the basis and purpose of the organization— regardless of gender, gender identity, race, ethnicity, color, creed, marital status, sexual orientation, religious affiliation, age, political party, parental status, economic class, or disability. Christian Feminism Today members support CFT programs and outreach efforts, including the Nancy A. Hardesty Memorial Scholarship, the Mother Eagle Award, our presence at conferences and events, and this website. Your commitment to our mission expresses unity with biblical feminists around the world. Annual dues are $45 for regular members (includes national and local/regional membership), $15 for students or low-income persons. 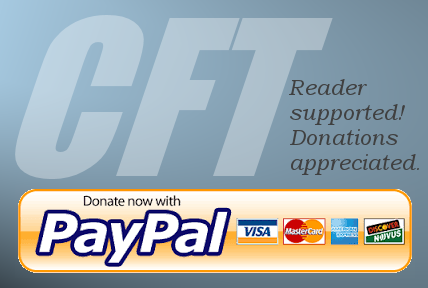 You can join CFT either online or by mail. Click here to access the online membership application (payment via PayPal will be required in order for your membership application to be considered complete). Need a printable membership application you can fill out and send in with your check or money order? Click here to open the Adobe Acrobat file (will open in a new window). Click here to renew your existing membership.